It's Venice, 1604. When rumours of a spectacularly rare and priceless diamond begin to circulate amongst the gamblers and courtesans of the Venetian demi-monde, the Levant Company merchant, Paul Pindar, becomes convinced that the jewel is somehow linked to the fate of his former love, Celia Lamprey. As his obsession with the mysterious stone grows it becomes clear that there are other, more sinister forces at play. Is the diamond real, or is it just a trick to lure him to his ruin? 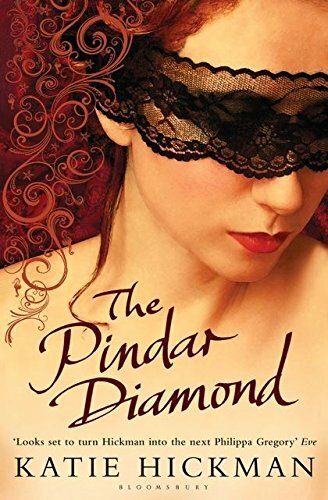 "The Pindar Diamond" moves from the canals of Venice to the coasts of Dalmatia, from a famed physic garden in the Venentian lagoon to the secret corridors of a convent - a tale of lust, love, greed, wealth and danger set among the Levant traders in the early years of the seventeenth century. Written in the exquisitely evocative style that is Katie Hickman's trademark, this is a gripping and superbly told story that goes as deeply into history as into the human heart.